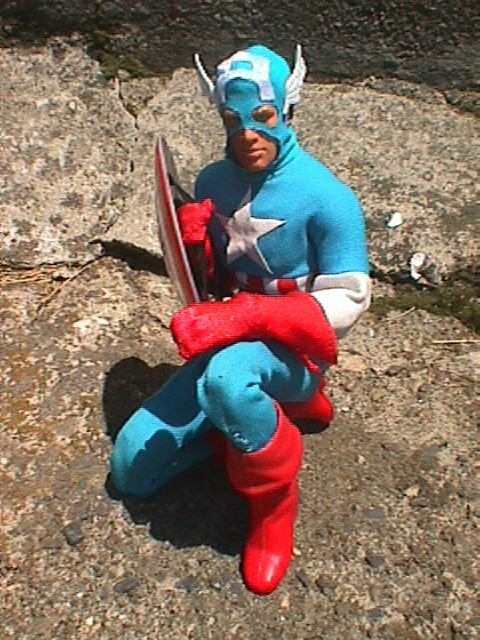 Body: 21st Century Toys "Ultimate Soldier" Super Soldier body. 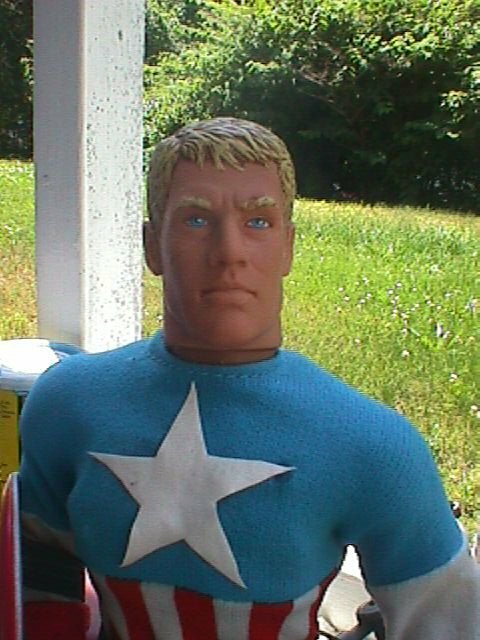 Head: Hasbro GI JOE WWI Doughboy. 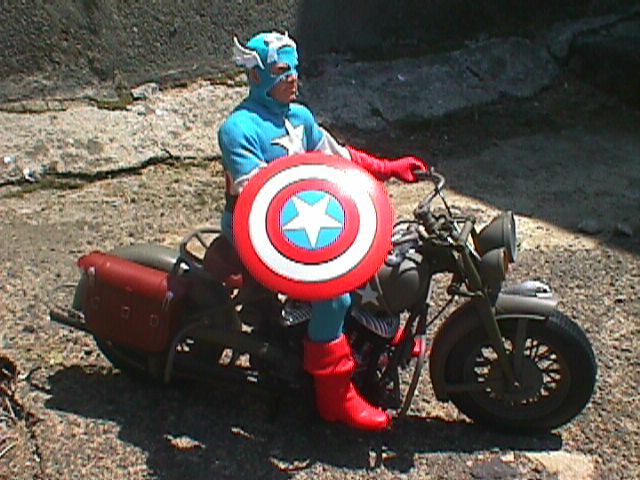 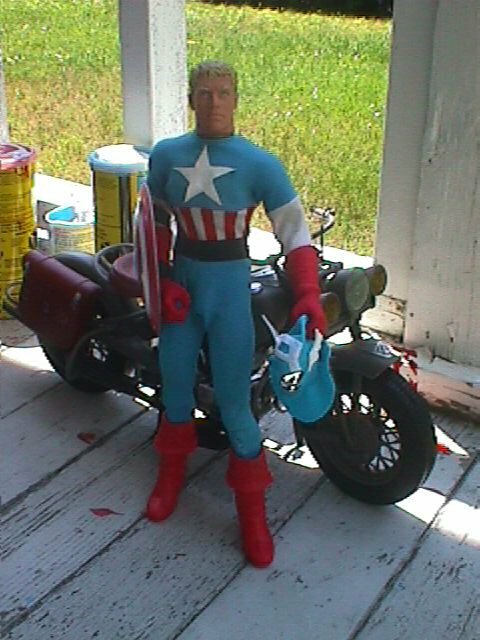 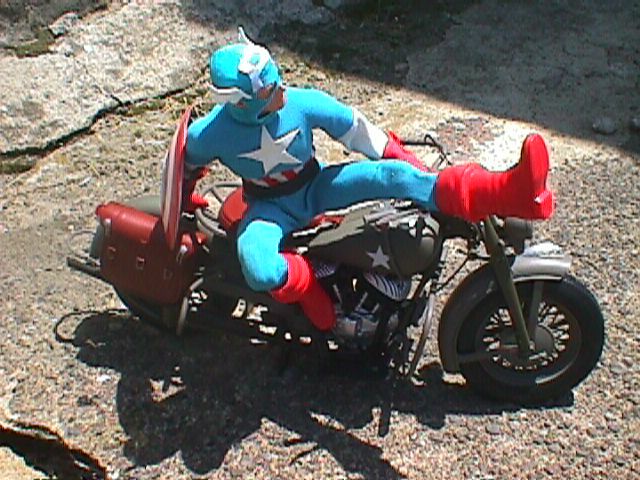 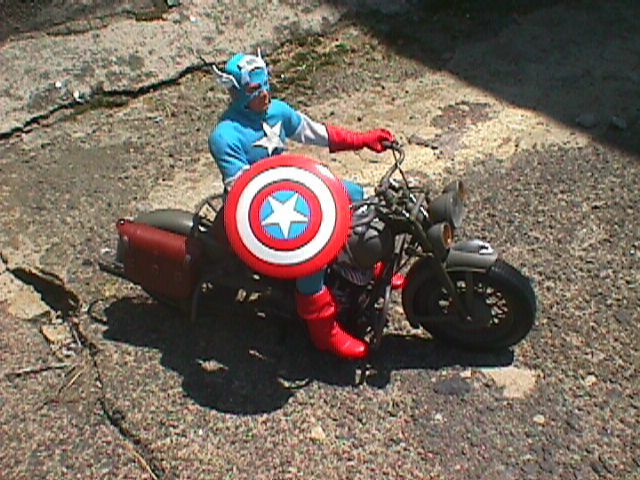 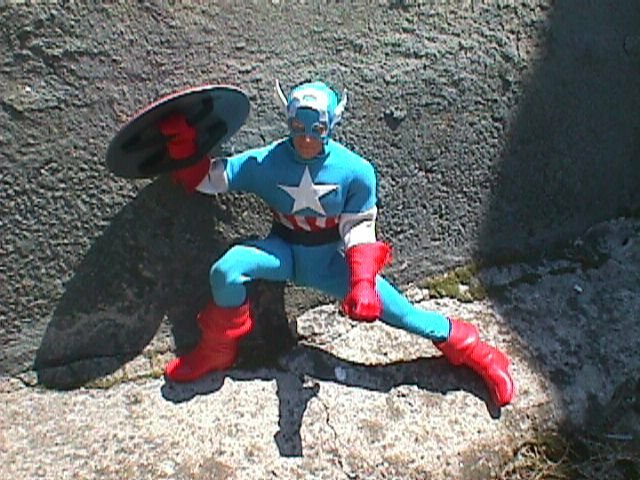 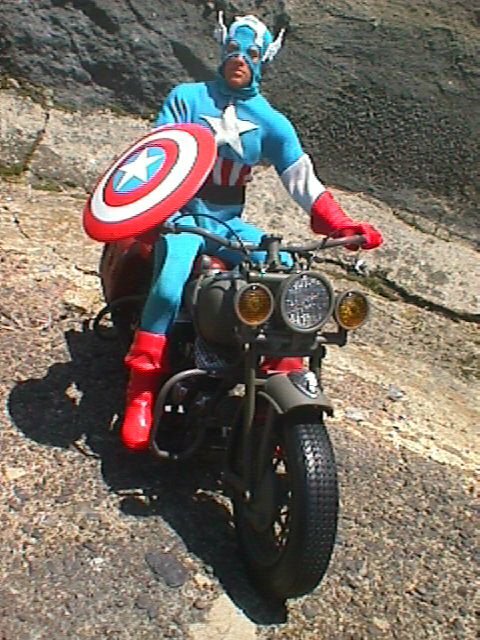 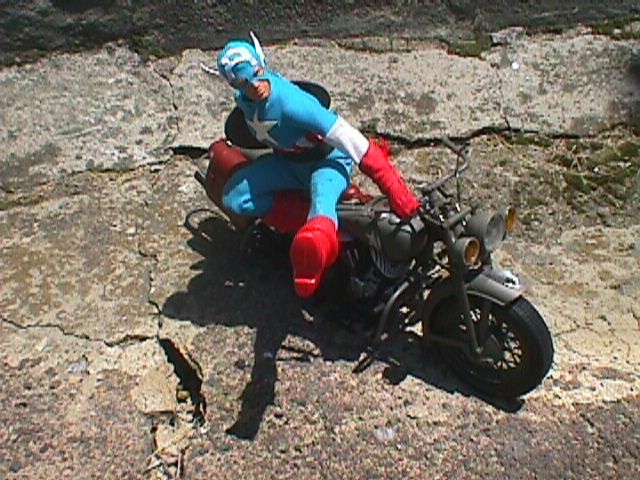 Costume/boots Mego 12" Captain America. 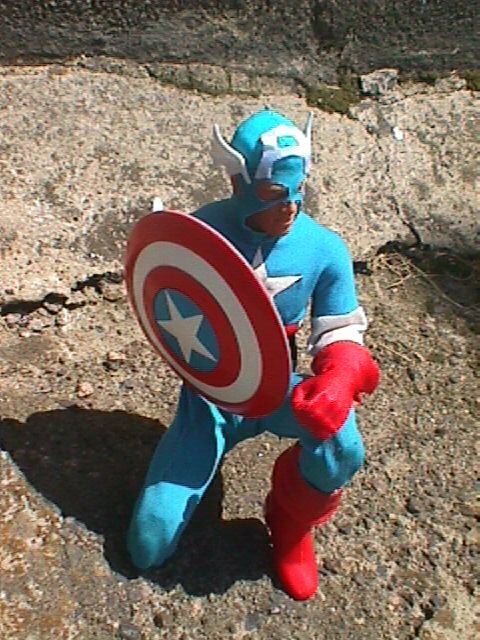 Shield: Applause 10" Captain America vinyl statuette. 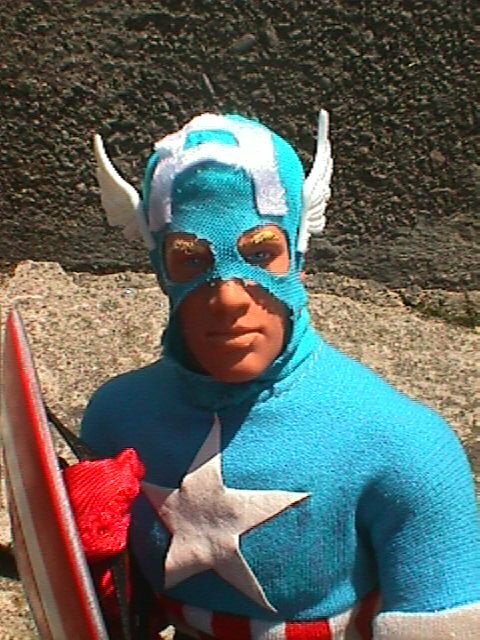 Mask and gloves, custom-made. 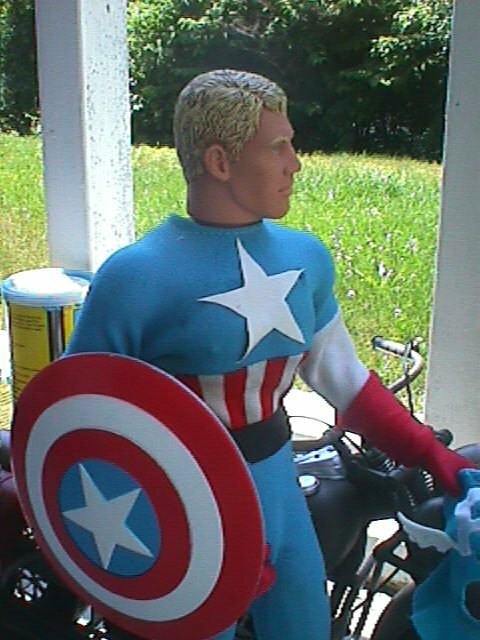 (Head wings from bottom of wings on Famous Covers "Thor"'s helmet.) 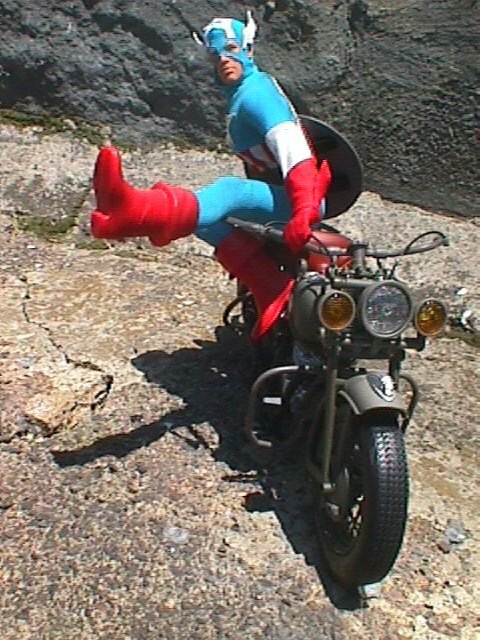 Motorcycle: WWII-era "Indian" from KB Toys.